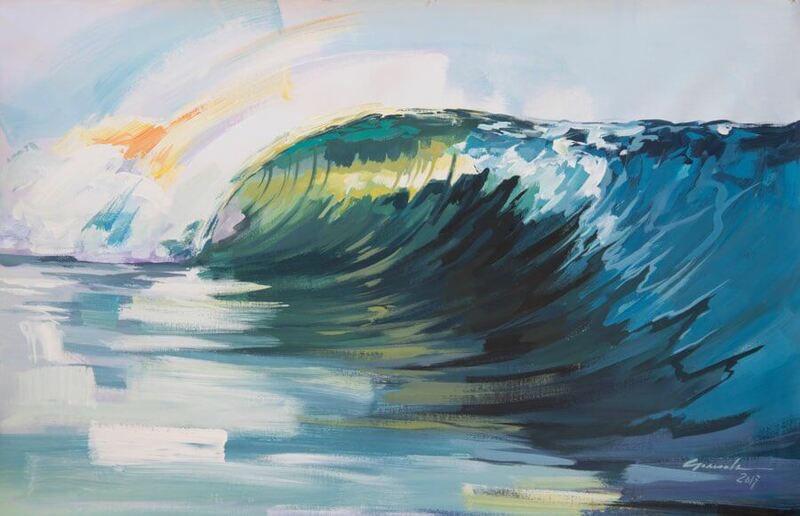 Born in Sassari, Italy in 1973 where he went to the Istituto d’Arte. 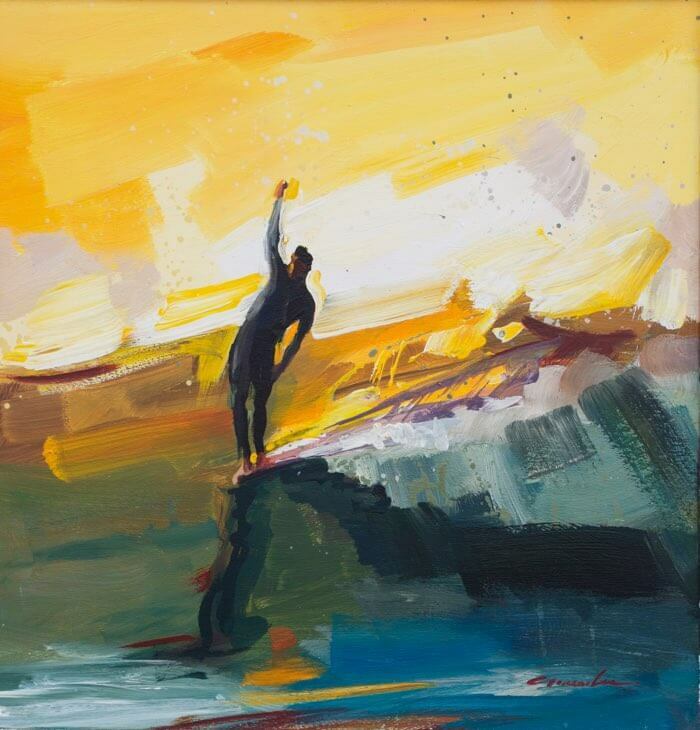 His work is presented in many different public and private galleries in Italy and abroad. 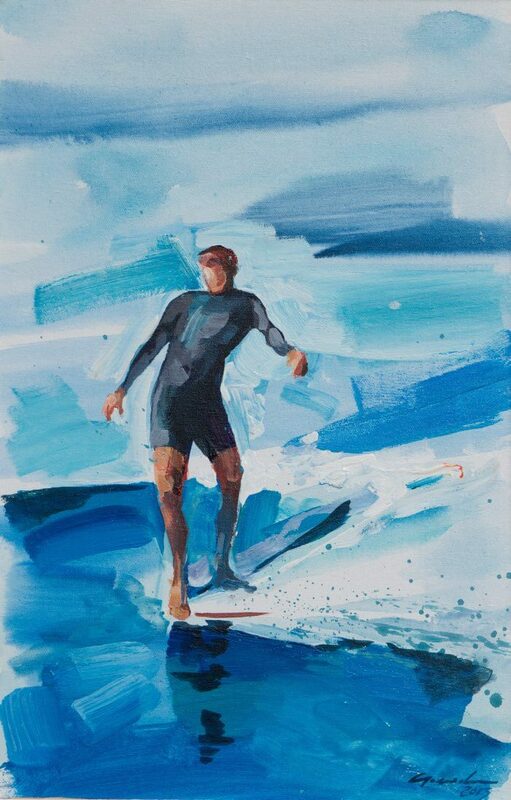 The characteristic works of Vincenzo Ganadu’s repertoire bring to mind his native land. 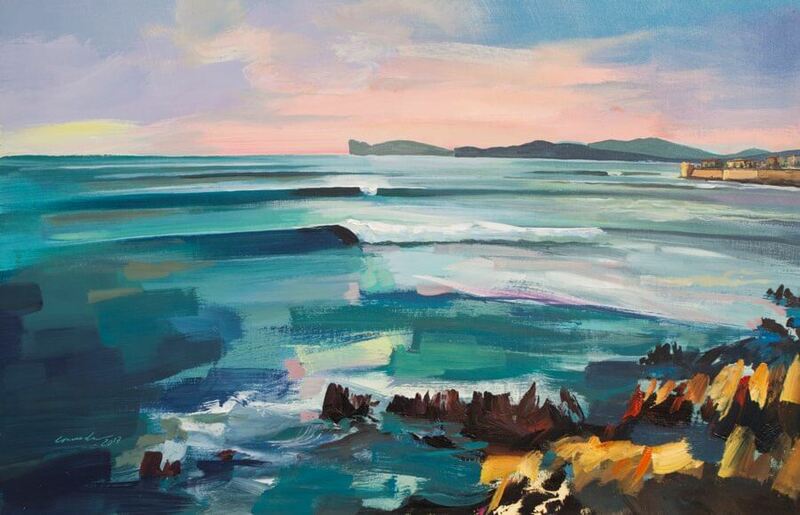 The stupefying wave that rises, in the middle of the agitated sea, offers to the young artist chromatic structures well designed within a rich geometry of counterpoints, of tones which accentuate the colour contrast of full effect. 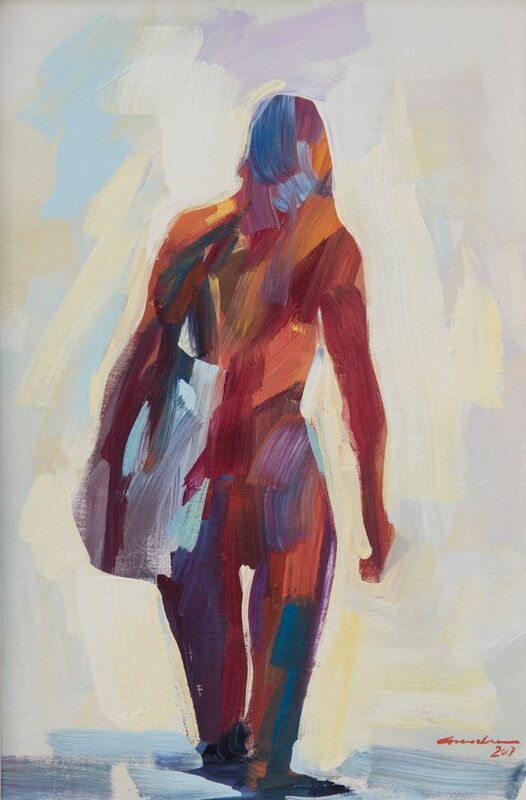 Vincenzo Ganadu inserts the human figure on these backgrounds using short strokes, creating a vivid emotion, which is a determining factor. 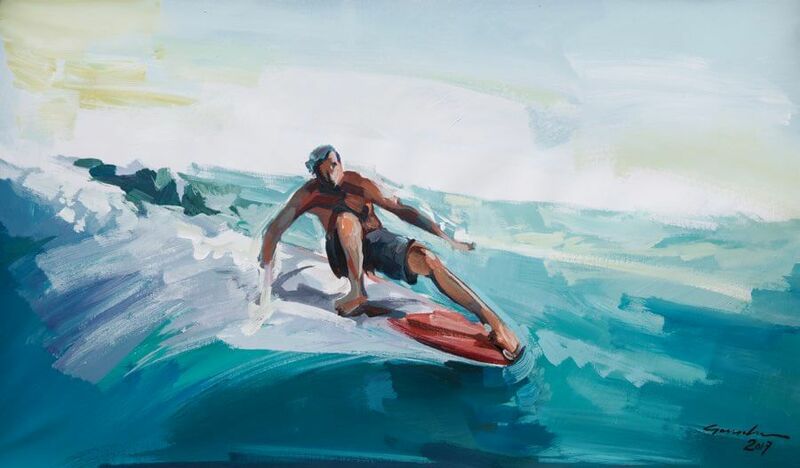 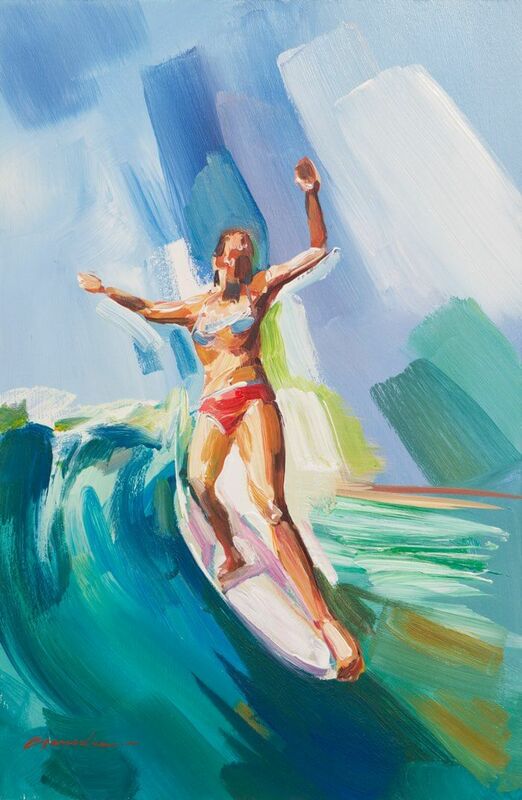 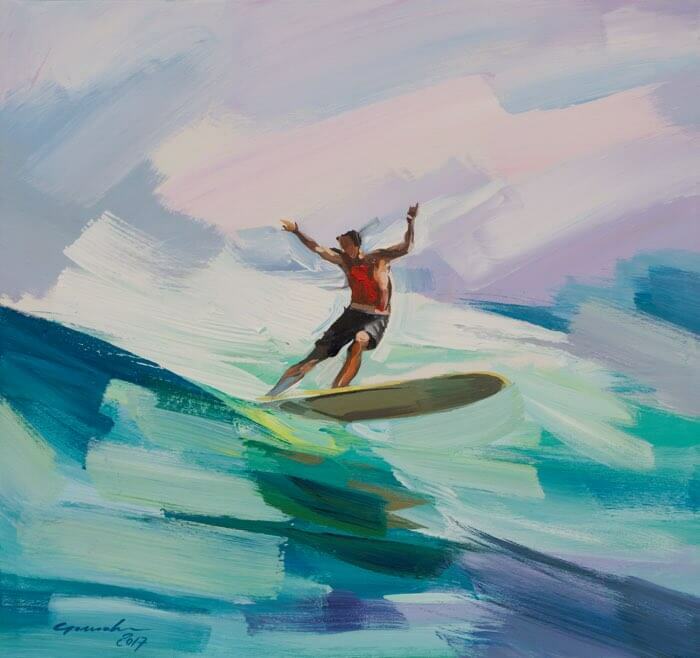 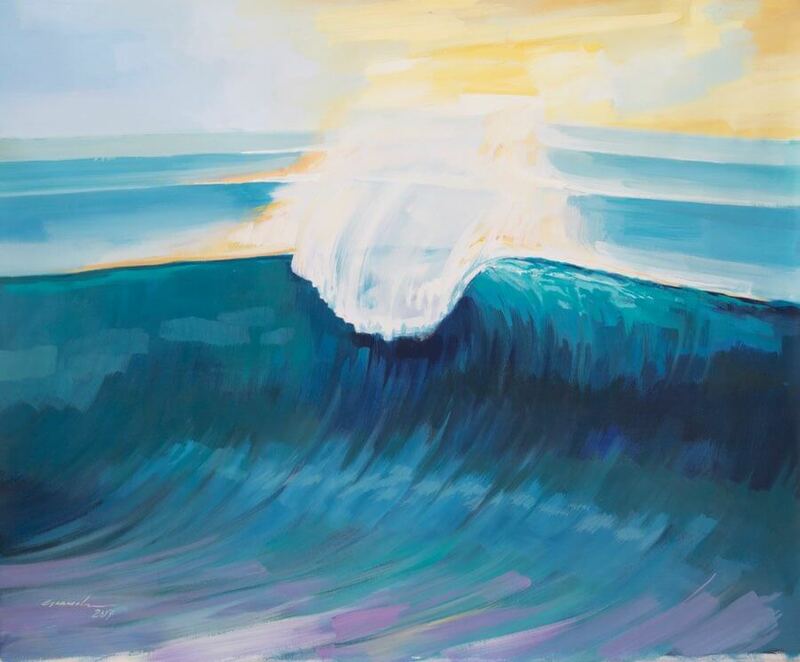 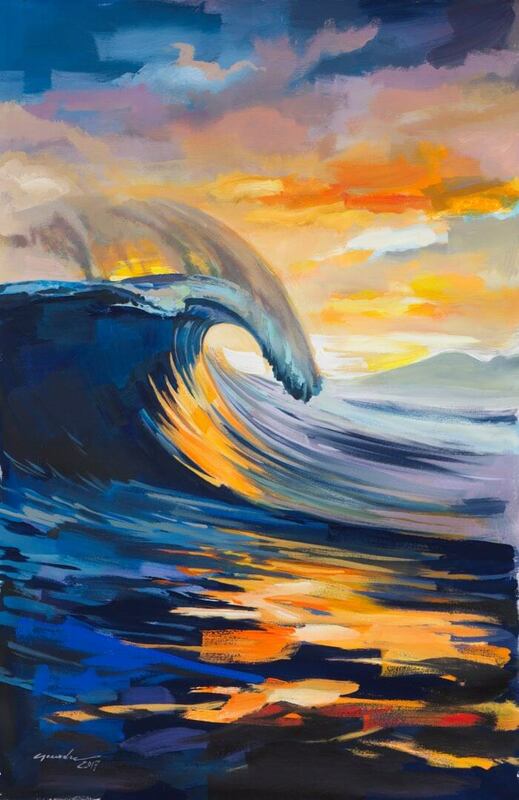 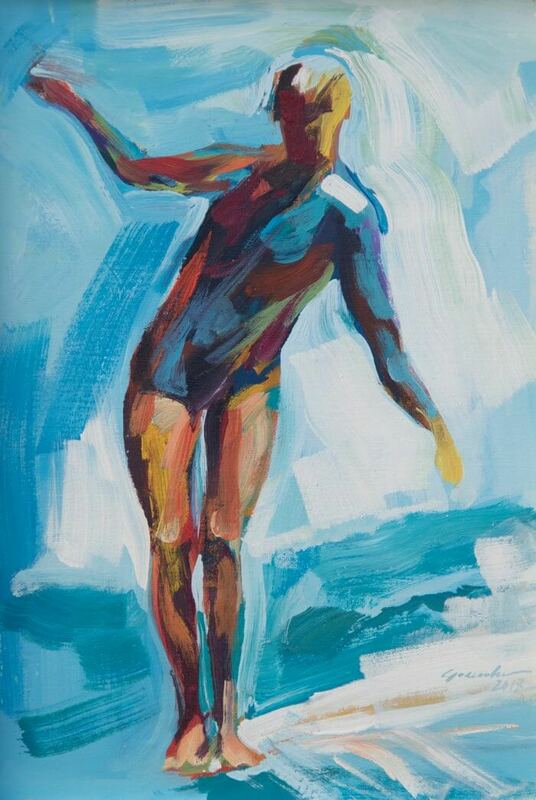 The incisive gesture of the man, balancing on his surfboard in the middle of the waves, animates and moves the observer because of the rapid touch of the colours made by the brush, without contour lines.